Uber is losing money faster than any technology company ever, and it’s largely because of an essential component to the company’s operations: the drivers. Bloomberg reports Uber lost $1.27 billion in the first half of this year, which is unprecedented, even for a tech company. By comparison, Amazon reported losses of $1.4 billion in 2000 during its biggest loss ever. Amazon CEO Jeff Bezos fired 15 percent of his workforce as a result. Uber is clearly playing by the same “grow first, make money later” edict of Silicon Valley, so it should be no surprise the company’s costs have increased as its operations expand into new cities. What is surprising, however, is that the biggest cost to the company is the fee it pays out to drivers. According to the Bloomberg report, driver subsidies account for a majority of losses in the first half of 2016. That’s the same fact shown in leaked documents published by The Information earlier this year. 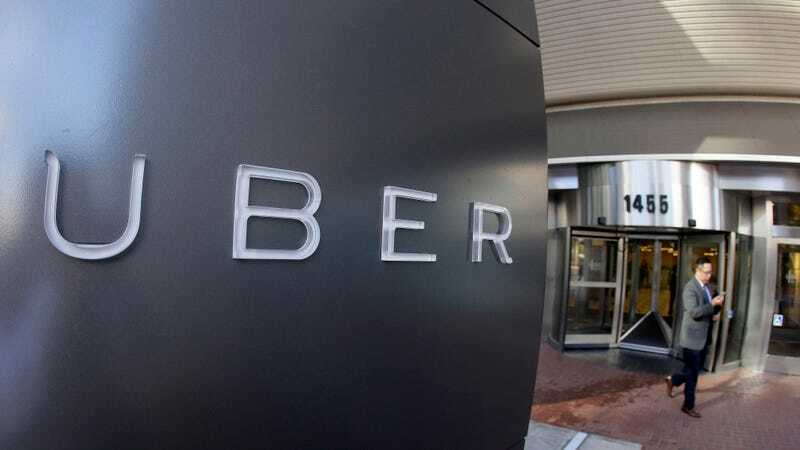 The leaked documents showed Uber paying out $2.72 billion to drivers in the first half of 2015. By comparison, Uber lost only $72 million to promotions and price cuts during the same period. Uber has been desperately (and quietly) trying to mitigate its losses to drivers. After lowering fares across North America to attract new customers, Uber began taking a greater percentage of driver’s fares (up to 30 percent now). Uber has instituted temporary hourly wage guarantees in some cities, but as Buzzfeed recently reported, Uber is still taking about one-third of their driver’s meager wages in cities across the country. A recent Forbes report notes that gross bookings (fares charged to the app before drivers and customers get their cut) were way up in 2015. This fact is being touted as one of the biggest indicators that Uber’s business is doing well. So how can Uber make money if its always losing so much to its drivers? Eventually, Uber will get rid of the drivers and turn a huge profit. Earlier this month, Uber announced it would begin allowing customers in downtown Pittsburgh to summon self-driving cars from their phones, indicating at least part of the company’s long-term business plan. Uber also acquired self-driving car company Otto for $300 million, showing its eagerness to advance its driverless car technology. The critical part that Uber omits is how it will earn a profit if it continues to lose most of its money to drivers. The answer is seems pretty obvious to me: just get rid of them.